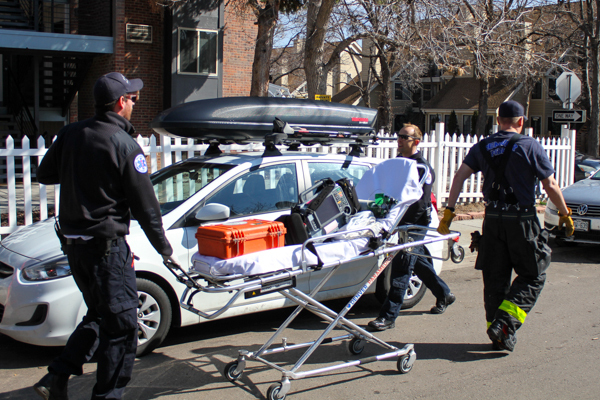 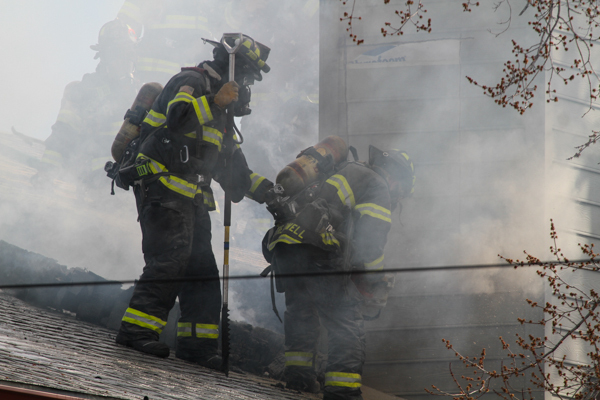 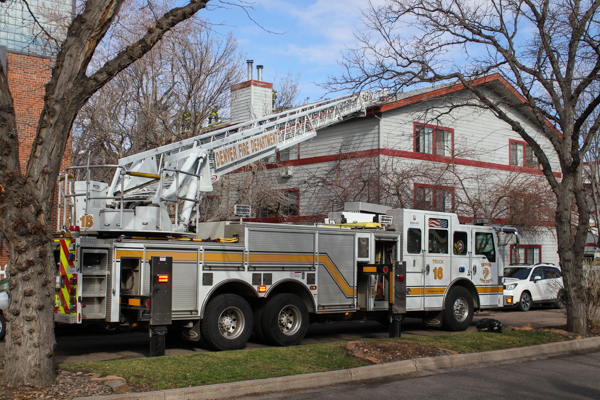 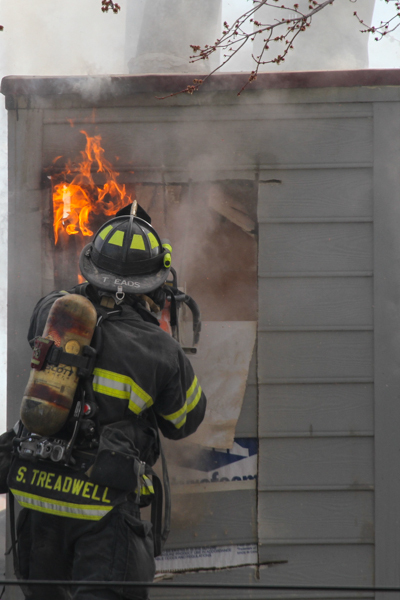 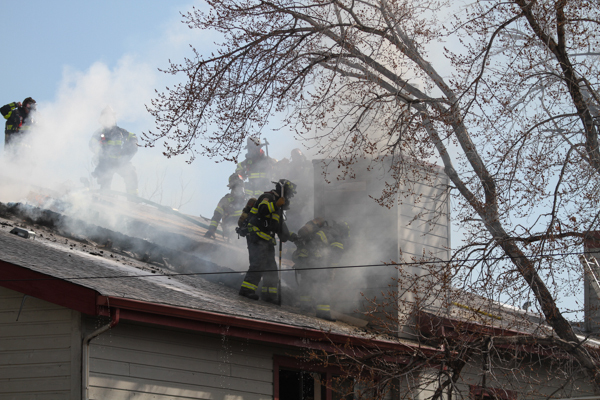 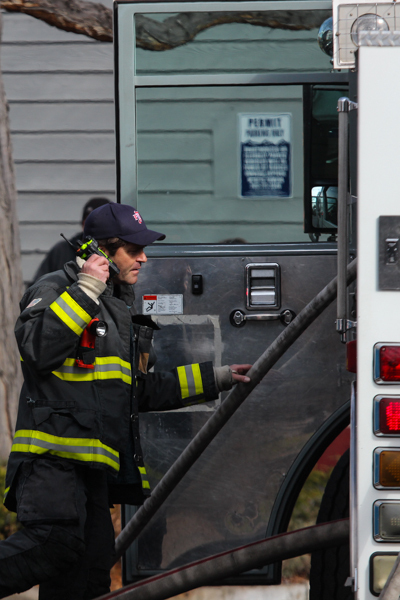 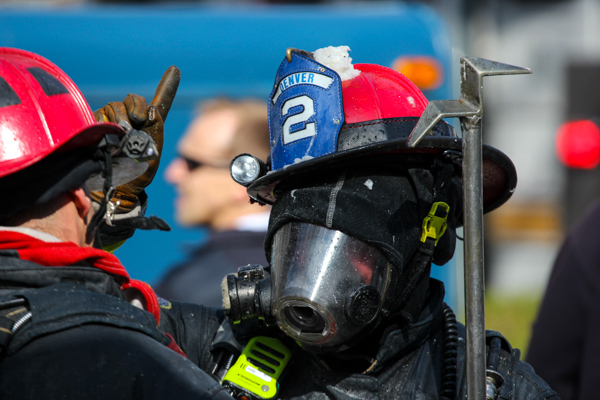 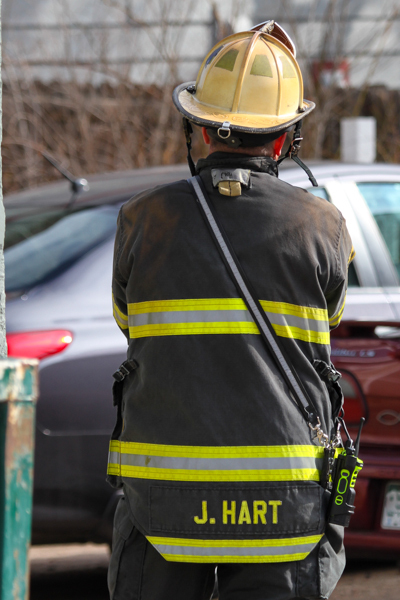 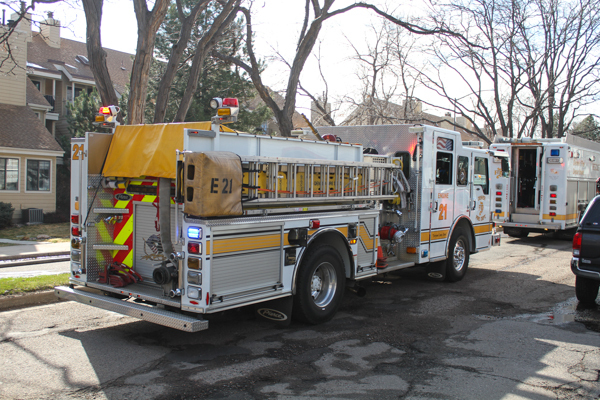 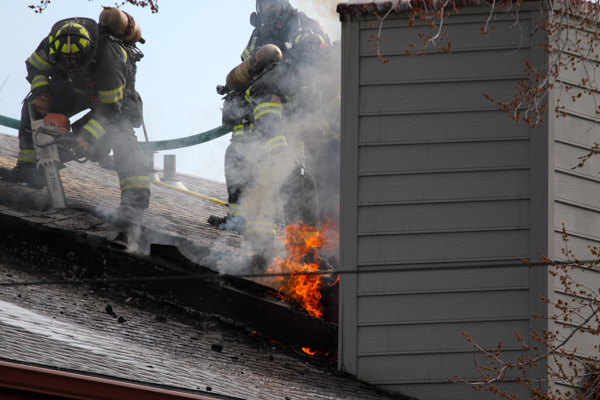 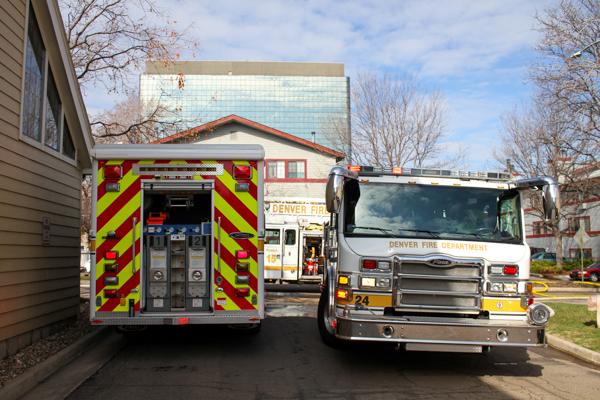 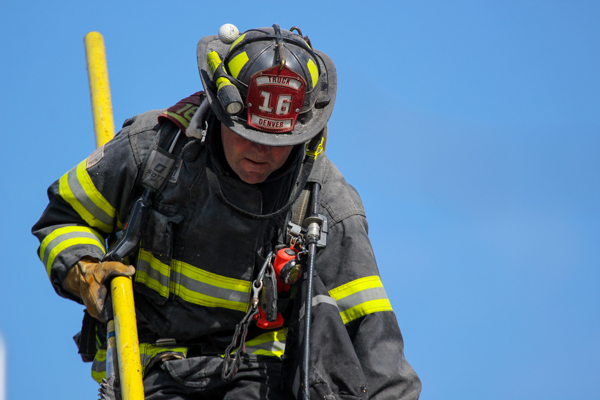 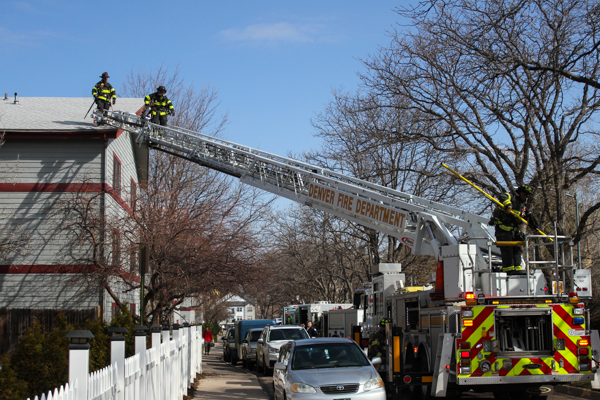 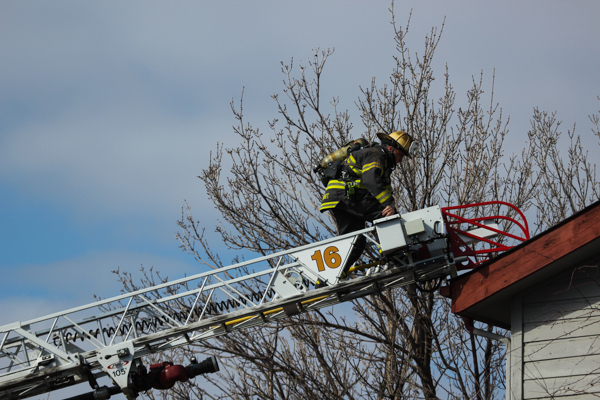 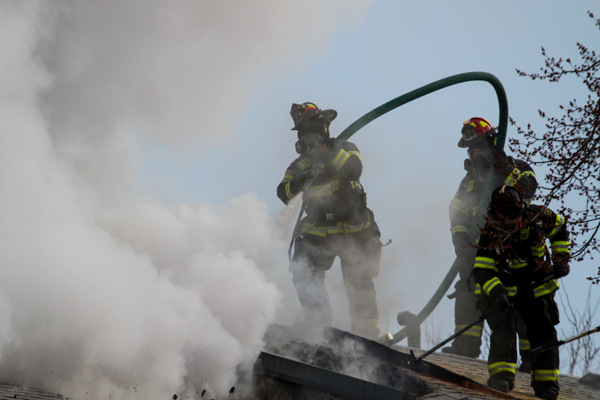 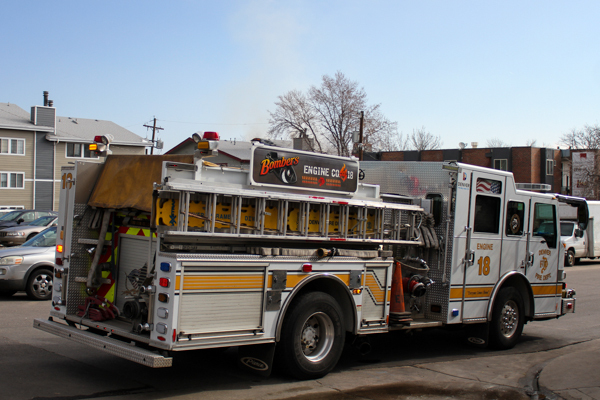 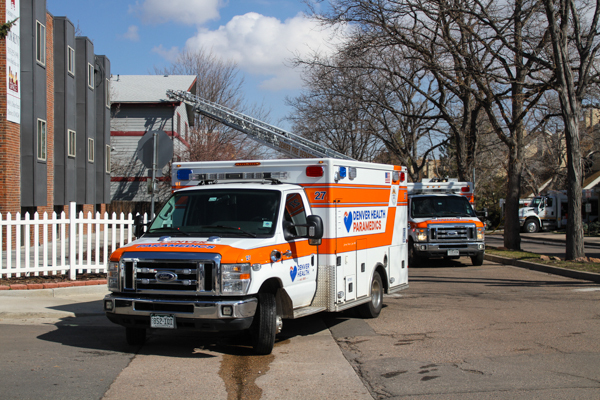 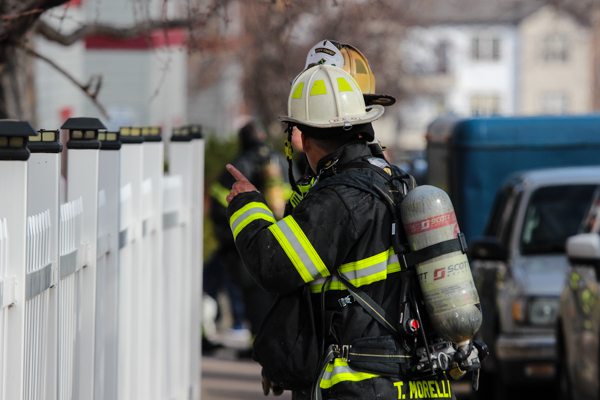 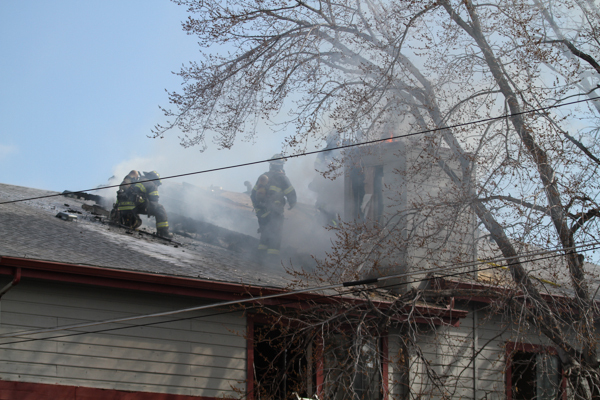 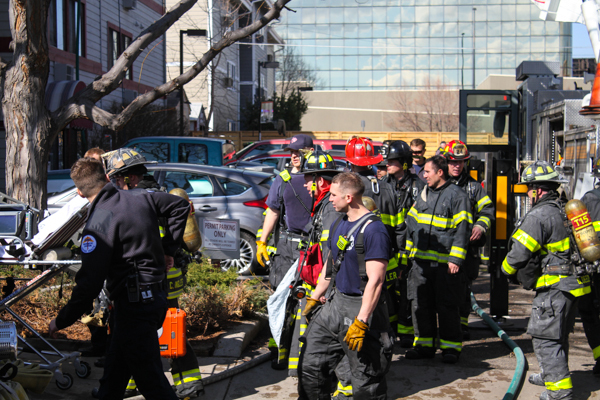 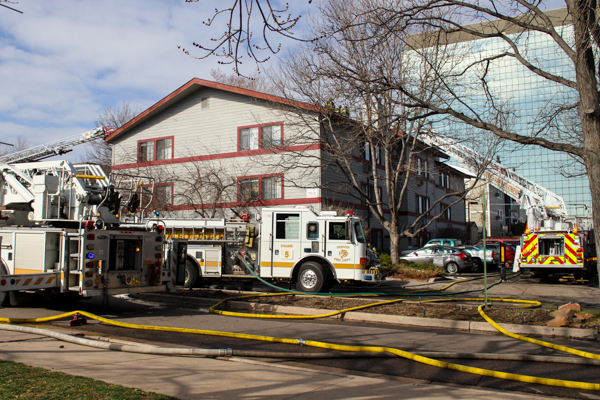 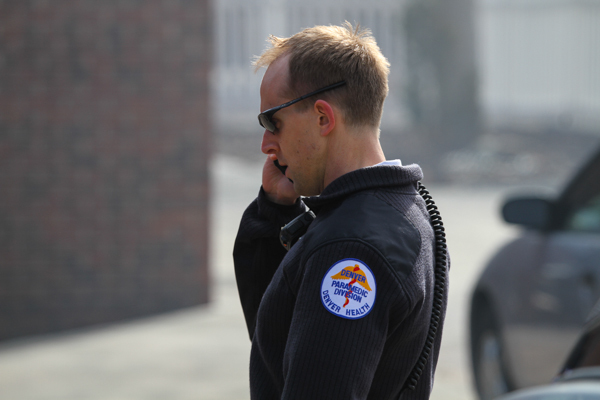 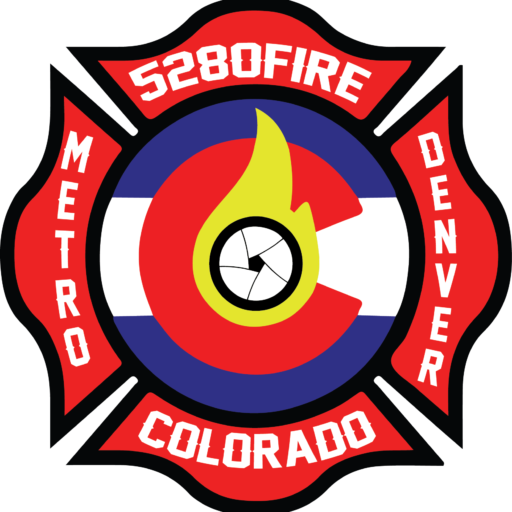 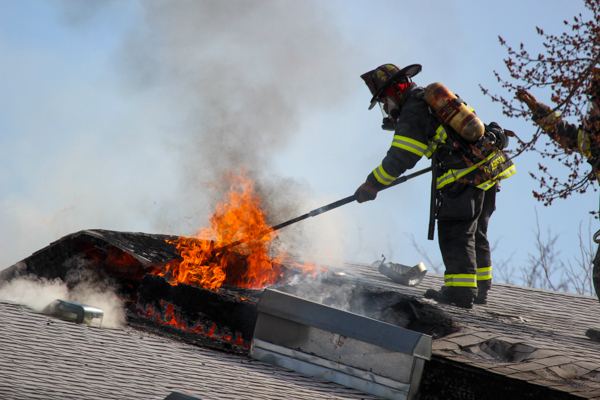 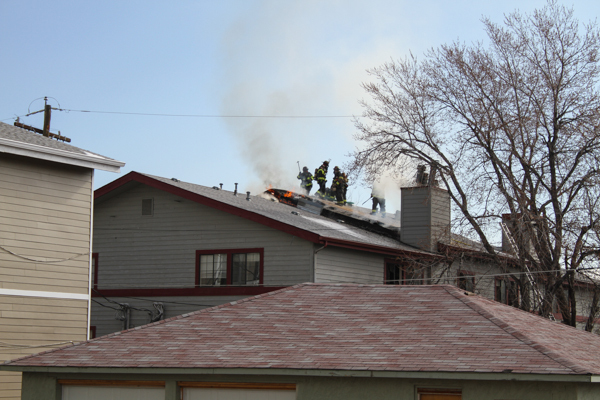 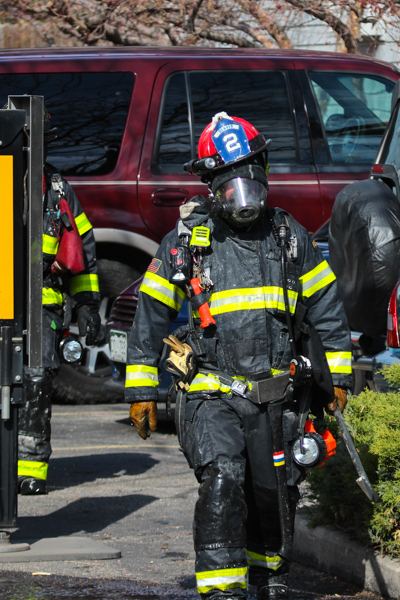 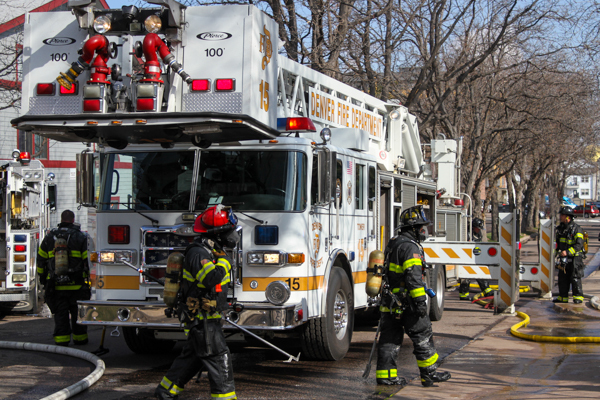 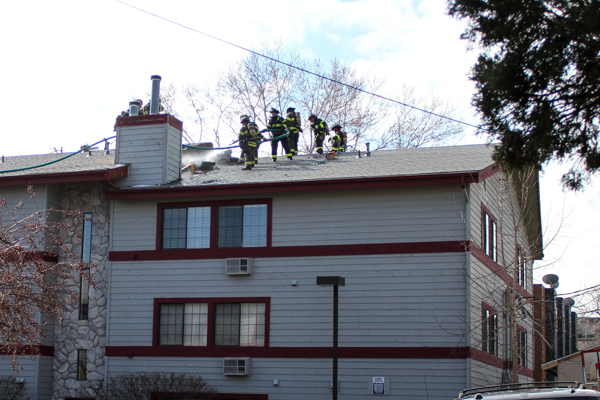 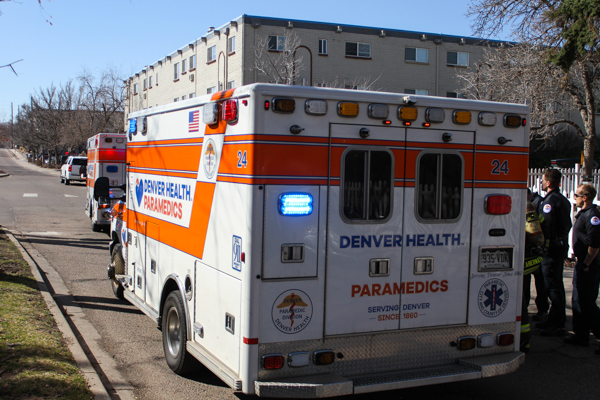 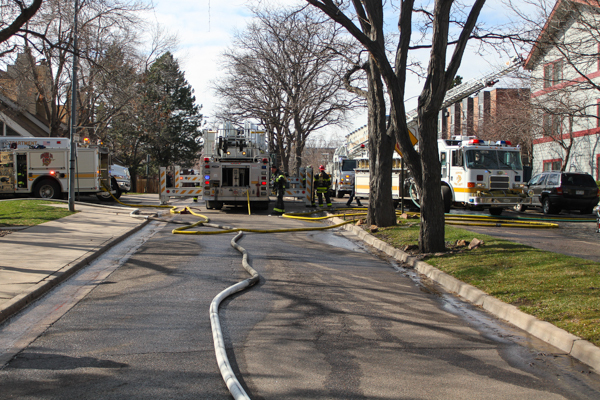 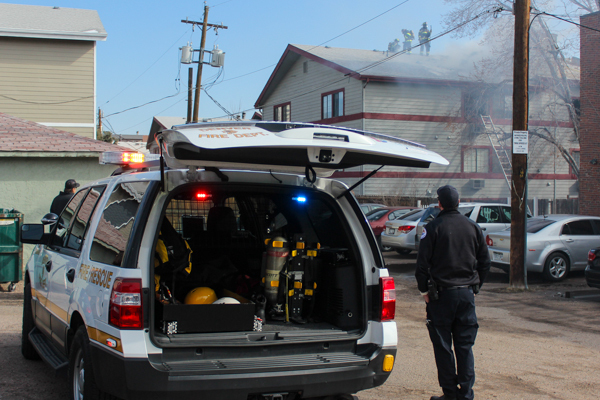 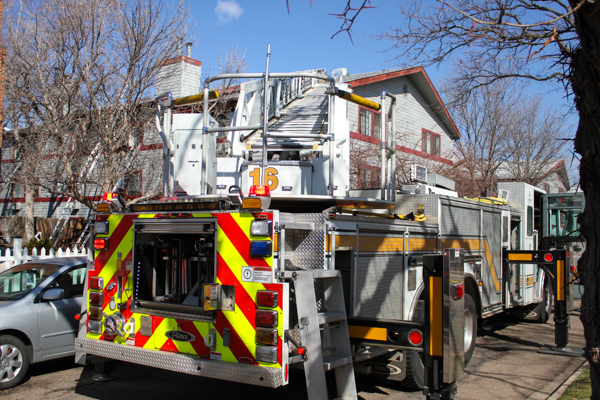 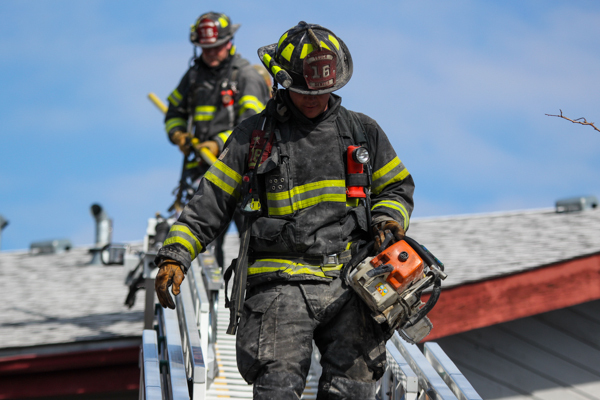 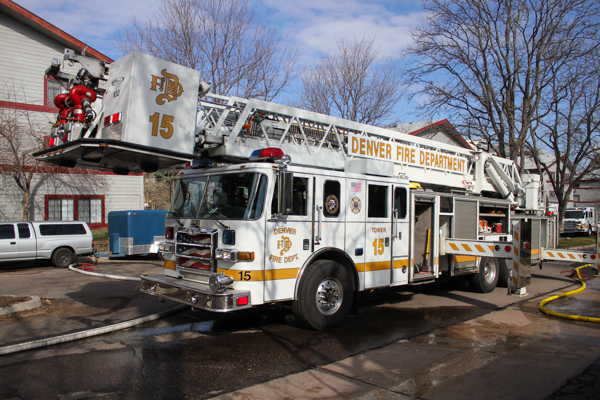 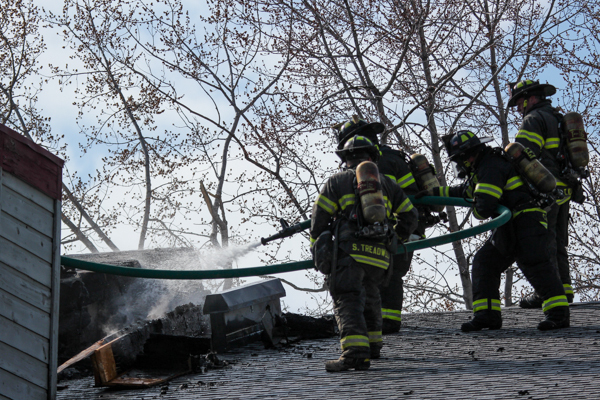 At 08:43 on March 30th, 2019 Denver Fire Department responded to a multi-family structure fire at 971 S. Dahlia St. with multiple 911 calls. 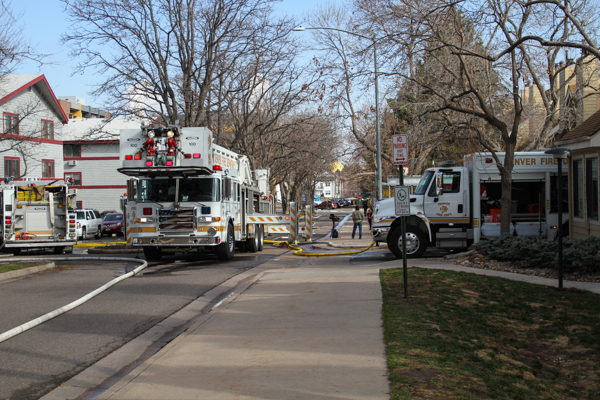 Engine 5 arrived and laid in from S. Dahlia St. & Tennessee Ave. with smoke in air. 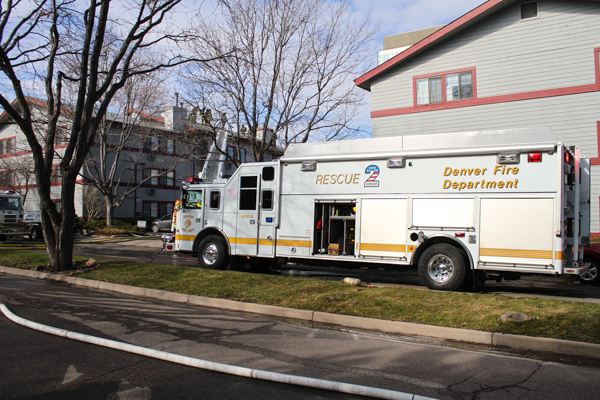 Truck 19 arrived to a 3-story multi-family apartment complex with flames from the roof and started fast attack mode on the Charlie side. 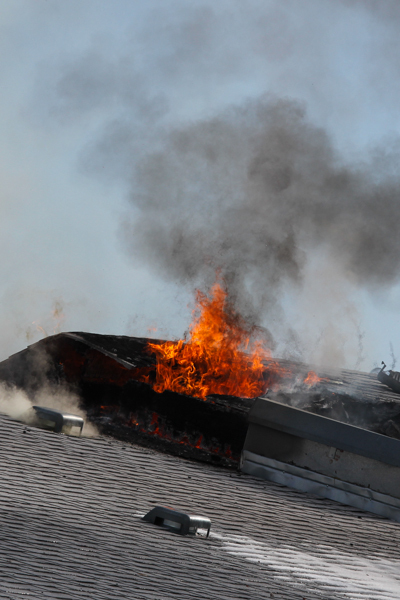 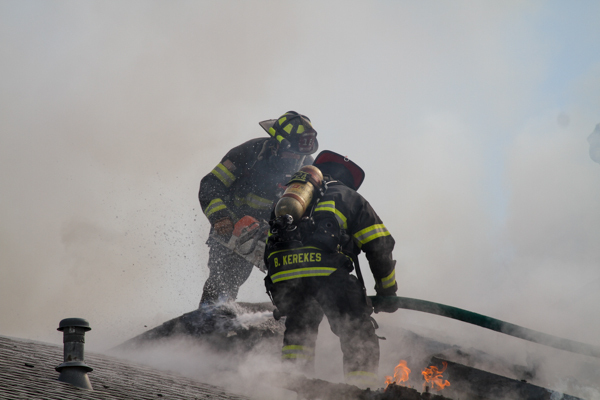 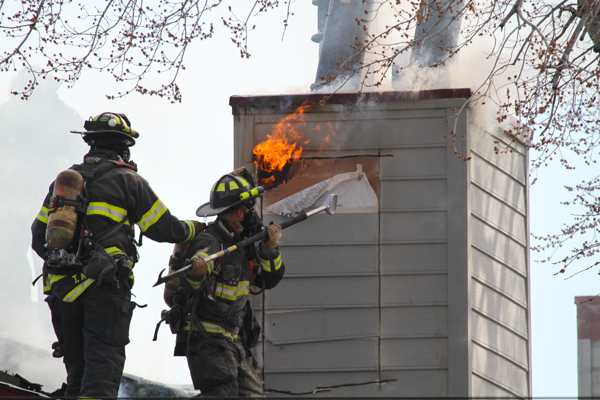 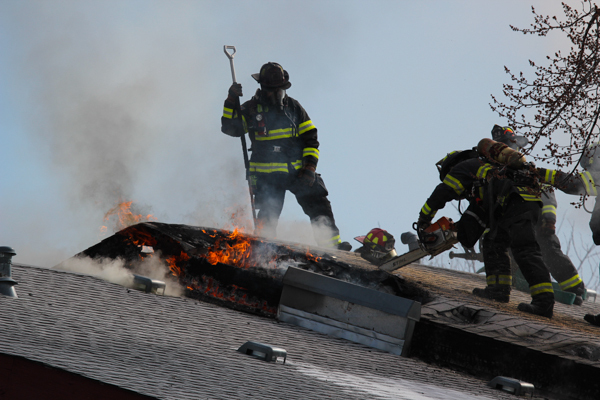 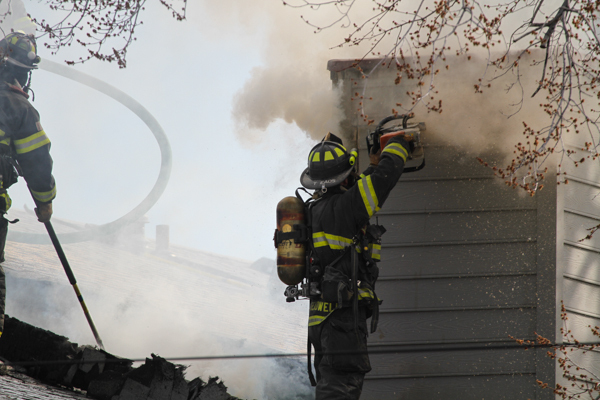 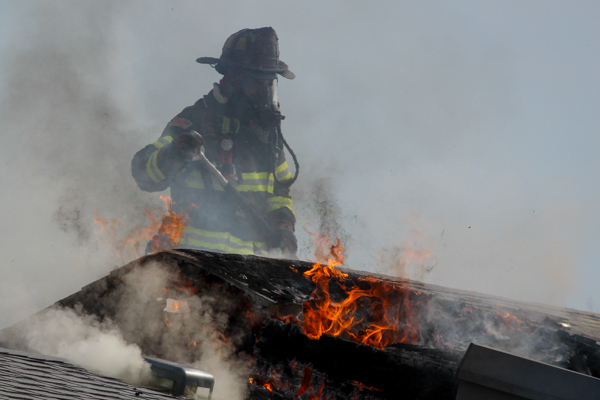 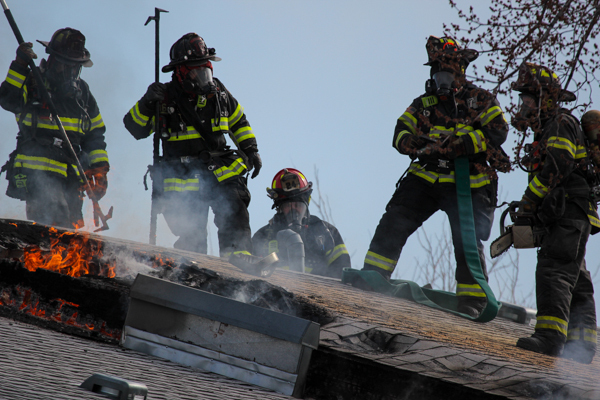 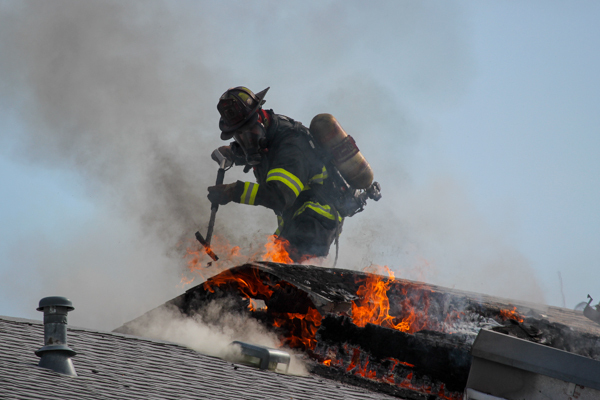 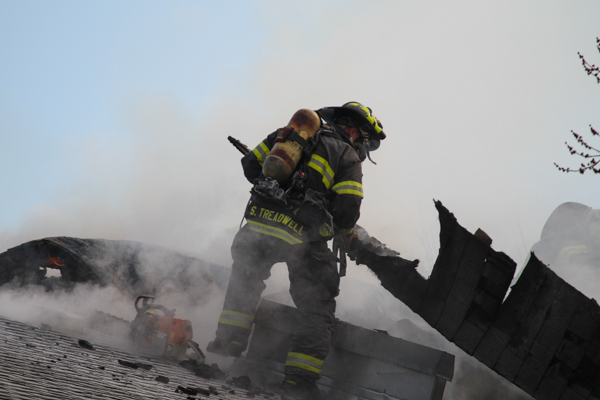 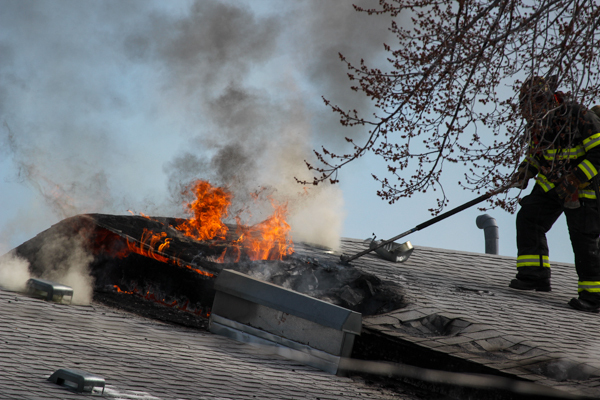 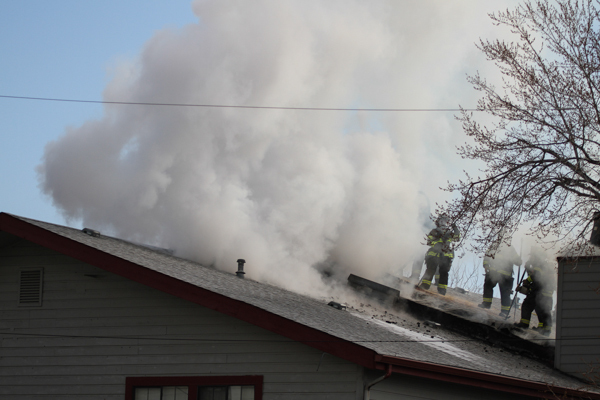 Crews chased fire through the chimney, attic, roof and in the walls, and Engine 24 pulled a line to roof with active fire. 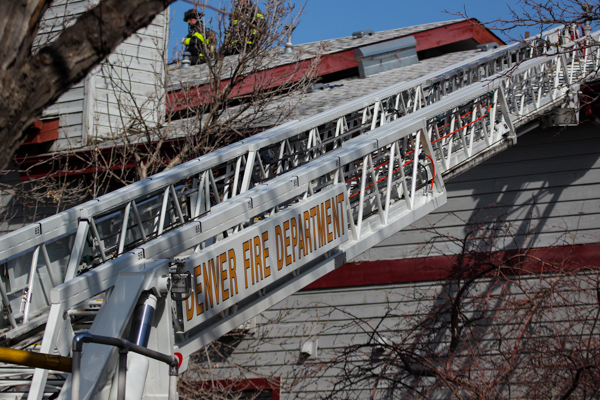 A mayday was called at with a firefighter from Engine 21 through the roof to the 3rd floor, and was transported by Denver Paramedics with minor shoulder injury, it was also reported that a 2nd firefighter from Rescue 2 was transported with unknown injuries. 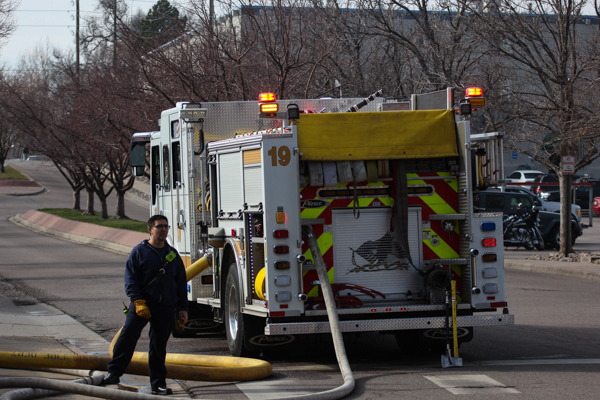 Crews got control and out at 09:53 and started an extender overhaul. 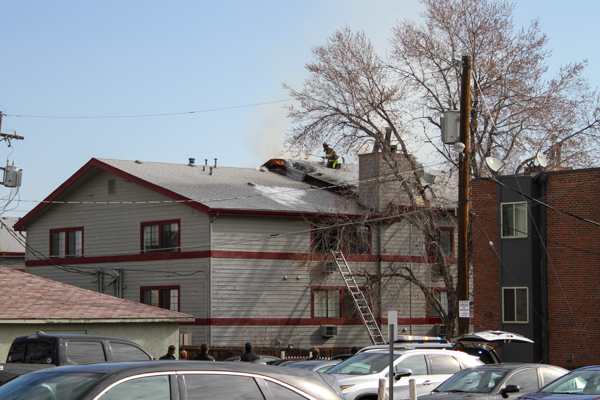 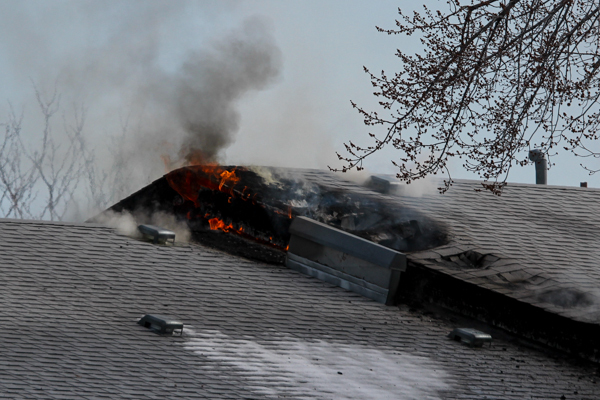 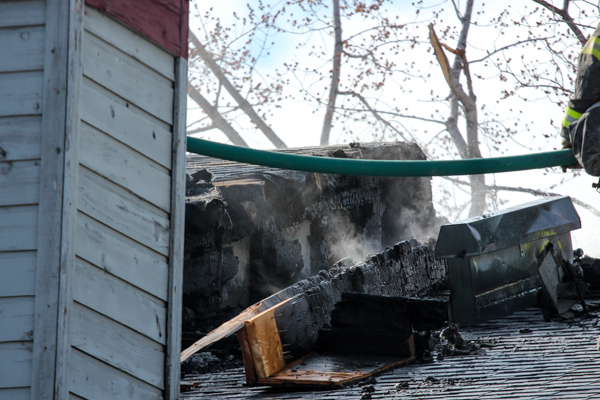 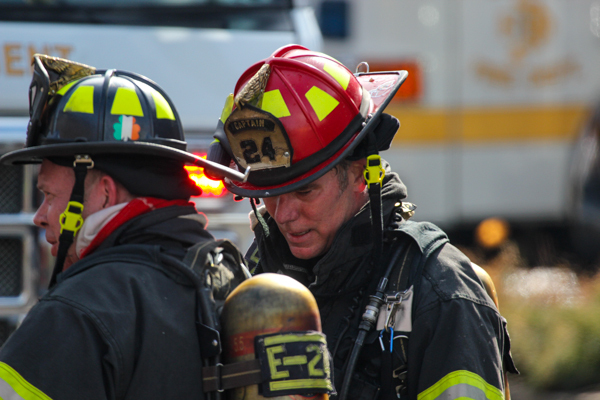 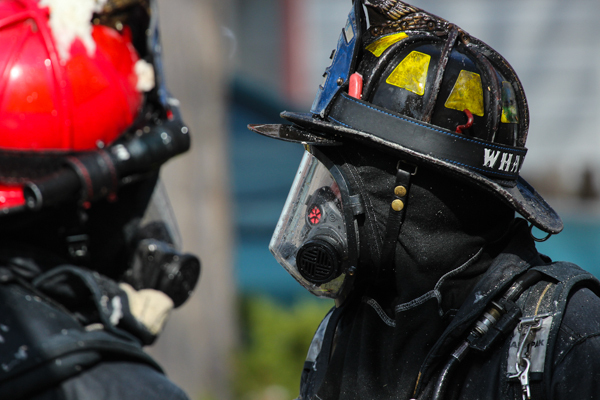 The cause of the fire is under investigation and no other injuries were reported.